The Great Lakes Chamber Music Festival celebrates 25 years of uniting three distinct religious organizations with pieces ranging from traditional to techno. Three congregations — representing three different faiths — are celebrating 25 years of making beautiful music together. The Great Lakes Chamber Music Festival — an initiative sponsored by Temple Beth El, St. Hugo of the Hills Catholic Church and Kirk in the Hills — has established some special programming for this milestone anniversary. While pianist James Tocco, first artistic director, returns and certainly rises to the occasion with some 10 performances, there is long-term perspective by Maury Okun, chief executive of the event since the beginning. “It’s been an incredible experience for me to share in the festival’s growth,” says Okun, president of the Detroit Chamber Winds & Strings and recipient of the Benard L. Maas Prize for Achievement in Jewish Culture and Continuity. “From our birth, we were able to offer really fine concerts, and we’ve grown in so many respects. “Our first year, we had six concerts and 10 musicians. This year, we’ll have more than 20 concerts and around 50 musicians. And while size doesn’t matter much, keeping the artistic level very high while reaching more people is certainly a real accomplishment. 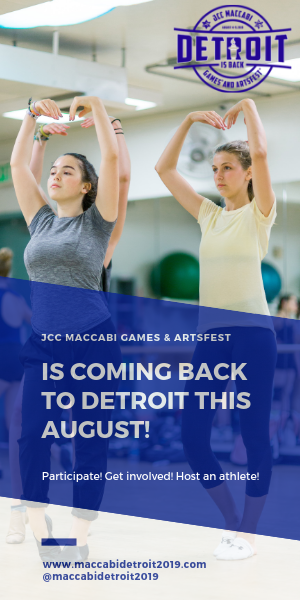 People who have regularly attended the festival will recognize violinists Ani and Ida Kavafian as well as Philip Setzer; cellist Robert deMaine, violist Kim Kashkashian, baritone and (Adat Shalom cantor) Daniel Gross and soprano Lauren Skuce Gross. New to the event are clarinetist David Shifrin and electronic music presenter FIT Siegel. Shifrin, artistic director of Chamber Music Northwest in Oregon and a professor at Yale University, appears in four programs. The most storied piece in his schedule is “Quartet for the End of Time,” a work by French composer Olivier Messiaen, who worked while incarcerated in a German prisoner-of-war camp. “The ‘Quartet’ is one of the unique works in the chamber music literature for so many reasons, including the circumstances under which it was written,” says Shifrin, who this summer also appears with the Lake Champlain Chamber Music Festival and the Fort Worth Symphony Orchestra, where he will be celebrating Bernstein on Bernstein’s birthday (Aug. 25). Shifrin, who points out that these prisoners were treated very differently from prisoners in concentration camps, explains that each instrument is given a solo turn. The movements range from being very slow to suggest a feeling of suspended animation to being rapid in projection of a different sensibility. FIT Siegel, a techno music composer and DJ who moved beyond Aaron as his first name, will join other performers in a program related to the fine arts. “Audio/Visual: Muse at the Museum” offers sound interpretations of the painting The Mandolin Player by social realist artist John Thomas Biggers as well as musical style comparisons. The concert will be held at the Charles H. Wright Museum of African American History, which made a commitment to restore the image, originally completed toward the middle of the 20th century. Others offering their own interpretations of the painting include cellist Paul Watkins, artistic director of the Great Lakes Festival; composer William Banfield; saxophonist Marcus Elliot; and the Thalea String Quartet. Siegel, who chose his stage name to go along with his businesses, FIT Sound (a recording label) and FIT Distribution, will be at a computer when communicating his reaction to the image. In his studio, he works with vintage keyboards, drum machines and synthesizers. Siegel, based in Detroit, has been researching interviews and commentary about Biggers and feels inspired by what he’s learned. He has latched on to the concept of interrupted spirit. The Mandolin Player by John Thomas Biggers highlights the power of music to transport the human spirit. As part of commemorating the anniversary, there will be a new piece lasting about 2½ minutes at the beginning of each subscription-level performance. The pieces are being developed by previous festival composers-in-residence, such as Joan Tower, Piers Hellawell, Sean Shepherd and Paul Schoenfield. Rabbi Mark Miller, who joined Temple Beth El after the festival started, has become an enthusiastic fan. “Members and leadership of Temple Beth El are so proud of our historic partnership with St. Hugo of the Hills and Kirk in the Hills in founding this incredible festival 25 years ago,” the rabbi says. The Great Lakes Chamber Music Festival runs June 9-24 at various venues. 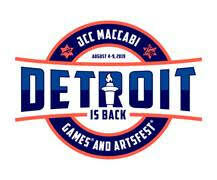 For complete festival information and scheduling, go to greatlakeschambermusic.org or call (248) 559-2097. Some concerts are free.